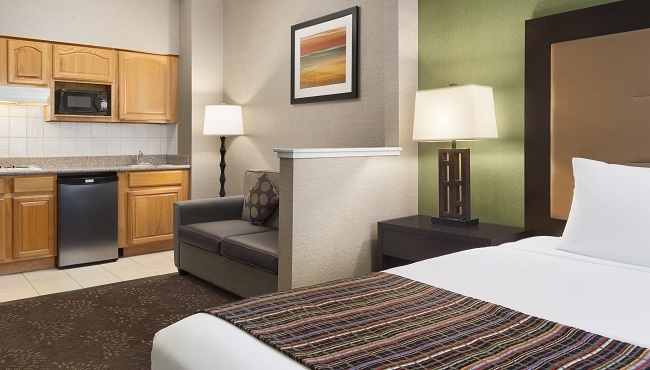 We make it easy for you to feel at home at the Country Inn & Suites in San Jose with hotel rooms and suites that feature microwaves and refrigerators. You can warm leftovers and grab a cold drink while you settle in for a movie on your 32-inch TV. 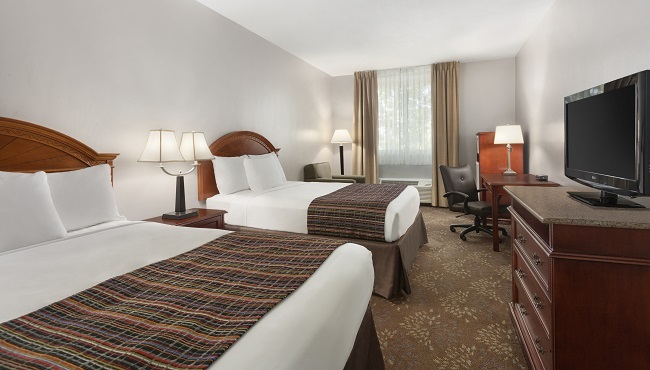 Free high-speed Internet and a desk with an ergonomic chair enable you to work comfortably, and an in-room coffeemaker allows you to enjoy coffee whenever you need an energy boost. Other handy items like a hair dryer and an iron with an ironing board help you look your best for business meetings or sightseeing in San Jose. 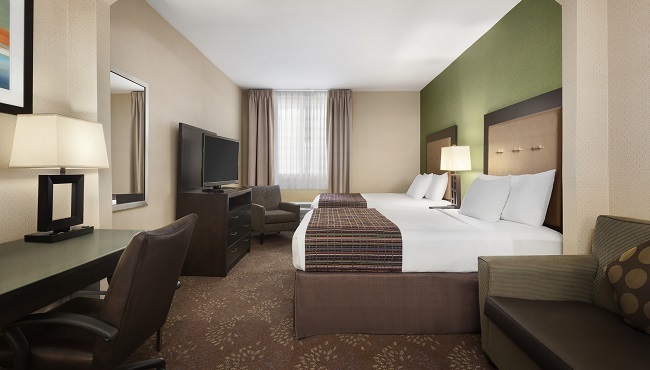 Whether you're traveling alone or with a friend, our Standard Guest Rooms are perfect. Choose either one king bed or two queen beds. 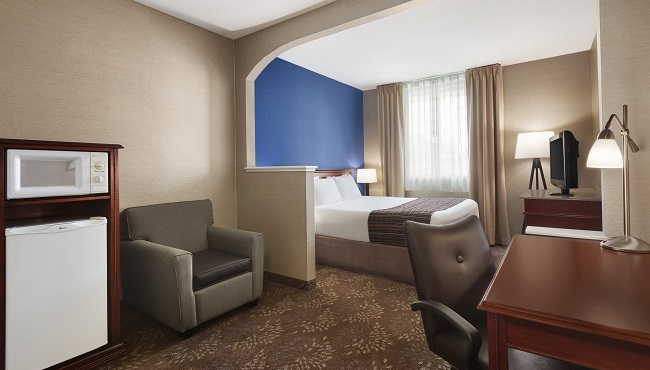 When you want extra space and perks, book one of our Studio Suites with either one king or two queen beds. 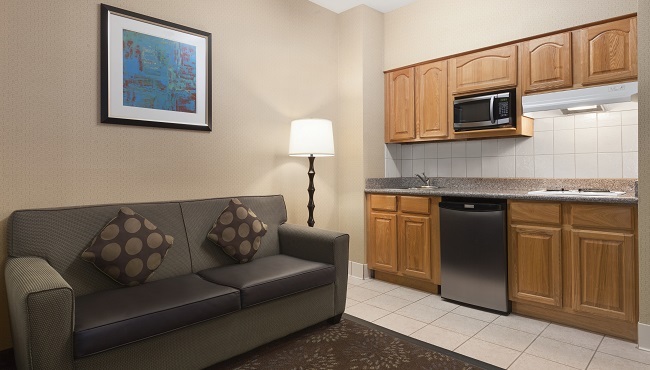 These suites include a living area and a fully equipped kitchenette.